This is the first review I've ever left here. I've listened to so many audiobooks and not all narrators have been great, but I've been able to shake it off and listen, but not with this. The inflection in the narrators voice made me think the narrator was a 10 year old boy instead of a high school senior and that was the least of it. If I could go back, I would have read this one instead of listening. 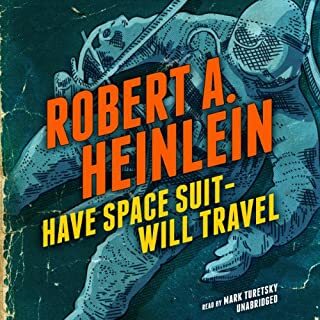 I hope that I can revisit this book again to really experience Heinlein's story. Such a shame. This was a great disservice to the author.